Treatment with Platelet Rich Plasma (PRP) for hair loss (alopecia) has revolutionized non-surgical hair loss treatment. Along with topical treatments, Goldenberg Dermatology vitamin and supplement program, PRP plays am important role in the Goldenberg Dermatology non-surgical hair rejuvenation plan. 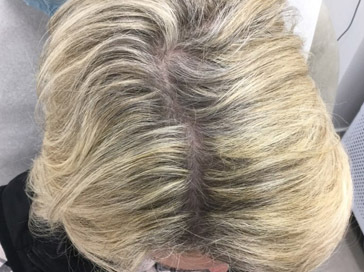 Platelet Rich Plasma is a natural and successful solution because growth factors isolated in PRP work to improve the overall health of your scalp, stimulate hair-production and add thickness to thinning hair. 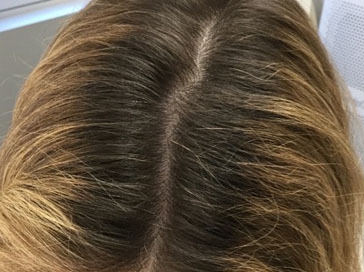 Platelet Rich Plasma (PRP) treatment is a unique approach at hair growth which minimizes the risk of adverse reactions by utilizing the patient’s own blood to initiate the growth process. 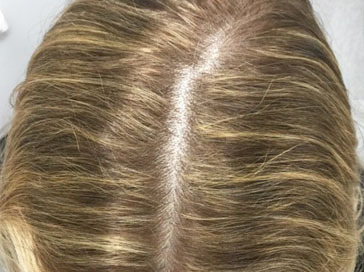 During this procedure, Dr. Goldenberg isolates platelet rich plasma, creating a suitable solution of growth factors which halt hair thinning and loss and promote new hair growth. Hundreds of different growth factors have been isolated in PRP and many of these promote hair health. During hair loss process, hair either thins to the point where it can’t grow any more, or simply falls out to due to lack of nutrition and support from the body. The growth factors found in PRP are able to “wake up” thinning and weak fair follicles and support those more healthy follicles. This stops hair thinning and loss and promotes hair growth. PRP therapy provides uniform and consistent results. Our clinical team will gently draw your blood and place it in a centrifuge which will effectively isolate PRP rich in growth factors. We will thoroughly cleanse the treatment area. Pro-Nox analgesia may be used to improve your comfort during the procedure. Dr. Goldenberg then administers a series of Platelet Rich Plasma injections into the scalp. The enriched formulation is designed to initiate the natural hair-growth process and each procedure is performed in under an hour. Most patients require several injection session once monthly, followed by maintenance treatment that may be performed every three to six months. It may take three to six months to see results. In some patients, decreasing and halting hair loss and thinning is a great result in itself. But majority of patients notice regrowth and increased thickness of their hair follicles. Results, of course, vary from patient to patient. 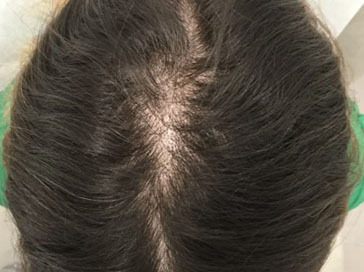 Patients who start treatment at the first onset on hair loss usually have better results. 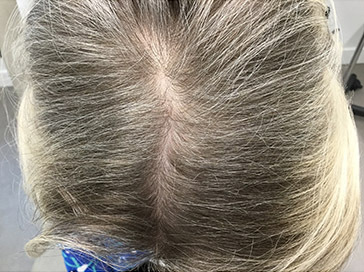 PRP has been found to be effective in the treatment of androgenentic alopecia (male and female pattern hair loss). 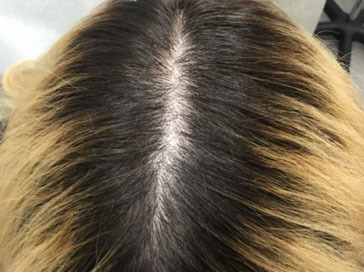 We’ve also used it for telogen effluvium with great results. Drs. Goldenberg specialize in the advanced art of PRP therapy and are excited to provide an effective solution for your hair loss. Please complete the form below and we will help determine if you’re a candidate for Platelet Rich Therapy.